I thought maybe I'll just write a short piece about a personal cause of mine that I've been into for the past year. Sustainable seafood. I became more conscious of it over the years as I realised that I consume quite a lot of seafood (90% of it raw/Japanese sushi) and started wondering about the sources of those seafood. 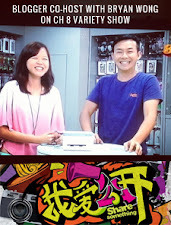 Singaporeans, in general, consume quite a fair bit of them. 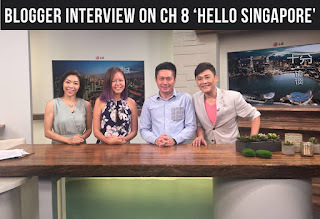 In fact, Singaporeans consume 22 kg of seafood per person a year (cumulating in 120k tonnes), which is 10% more than the global average of 20kg. 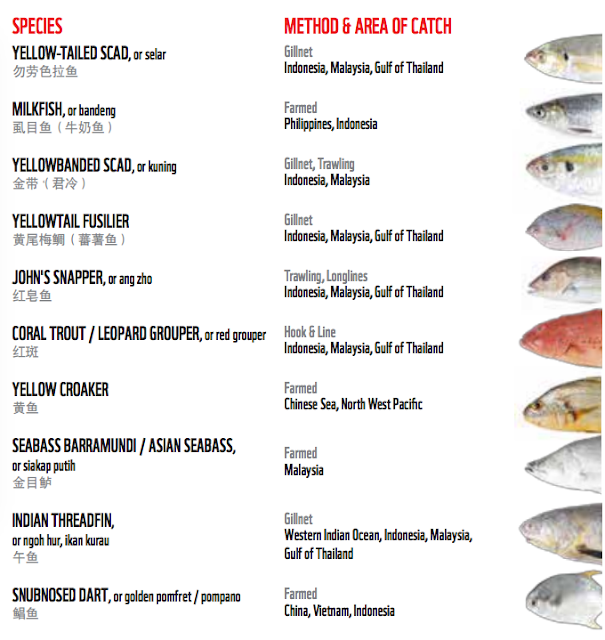 Do you know that according to WWF, 75% of popular seafood in Singapore is not responsibly caught? 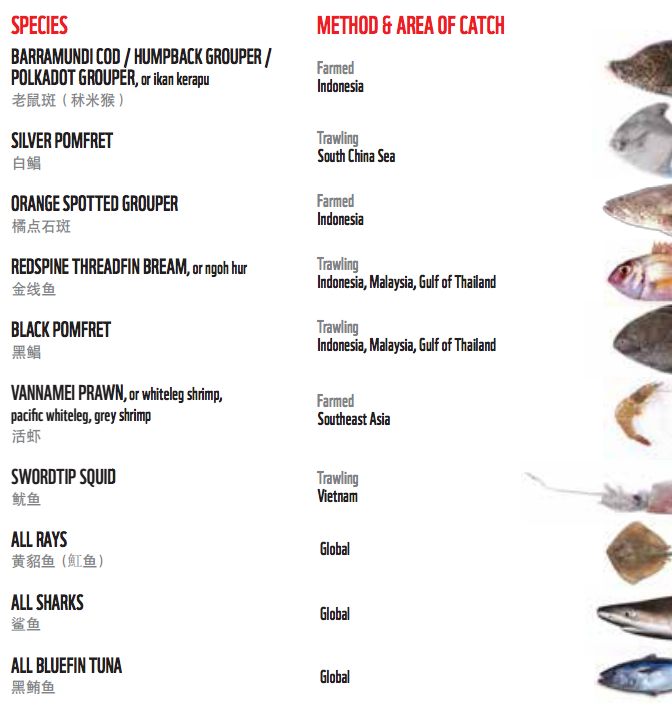 And that more locally consumed fish made it to the "avoid" list of seafood as compared to just 5 years ago? The problem is that even though every year there's a Sustainable Seafood Guide released, nobody gives a hoot about it because the seafood on it looks nothing like what's on our plates. 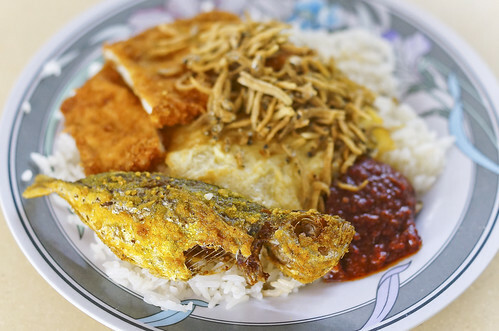 Like the "ikan kuning" or yellowbanded scad fish in nasi lemak. For example here's the list of seafood we should be avoiding, from the Guide. 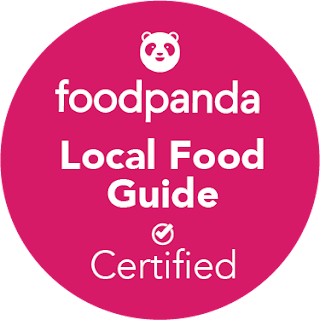 Seafood is easily available in Singapore, but sustainably farmed or sourced ones are not. There's also the prohibitive higher cost of 15% for SS, which might not mean much for individuals but for restaurants could represent a significant portion of their profit, which is already quite lean. 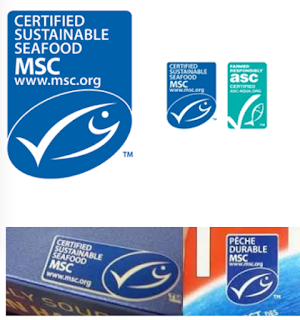 We should be buying seafood that comes with the MSC Eco-label, which looks like this. Even fish in wet markets should have this, as a ST Forum writer suggested. Unfortunately, I don't think shoppers look out for it, unlike the Healthier Choice Pyramid logo by HPB. I am actually quite appalled by the level of ignorance or nonchalance in Singapore when it comes to sustainable ANYTHING. For example, people who think that eating bluefin tuna is perfectly OK. No, it is not. Even though we (and the Japanese, primarily) don't eat just the fins of the tuna, unlike sharks, stocks have been so depleted that they will likely disappear from our oceans in the next 50 years. Imagine telling the future generation that we made lots of fish species disappear from the world by EATING all of them up. That's shameful no? Anyway. I could go on and on. I better stop. 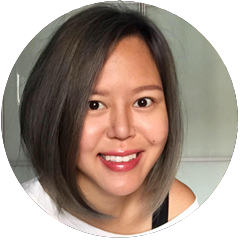 In the coming weeks, I'll be talking more about this issue, as I try to use my humble blog as a way to help raise awareness around how to be more sustainable when it comes to consuming and buying seafood! Stay tuned and I hope you will also support this cause.